Cooking healthy, whether you are adapting a vegan diet or simply preparing natural foods, can involve a lot of extra prep and there is nothing that helps manage this better than a good quality food processor. Surprisingly, good quality does not have to mean pricey. There are many models on the market from names like Cuisinart, KitchenAid and Hamilton Beach that can handle all of your slicing, shredding, chopping and grating needs without costing a fortune. Incorporating more vegetables into your family’s diet can be particularly challenging, especially if you have children. A vegetable spiralizer is one of the better healthy cooking gift ideas when it comes to solving this dilemma. As its name suggests, this kitchen gadget cuts vegetables into long, thin strings like pasta or into tight spiral cuts. This can add a bit of fun to your veggie dishes and give you a healthy alternative to standard pasta. The Instant Pot has revolutionized healthy cooking by combining the features of a traditional pressure cooker with those of a slow cooker, rice cooker and yogurt maker. Now you can make healthy soups, stews and chili, cook beans in half the time it would ordinarily take and even make your own delicious all-natural yogurt with one easy to use and easy to clean appliance. It’s got a one touch control panel and a 24 hour timer that allows you to delay cooking like you would with your slow cooker. A big part of most healthy cooking is getting enough fruits and vegetables. Sometimes that can be hard to do, but that’s where this addition to the list of healthy cooking gift ideas comes in. With a juicer, you can get all of the vital nutrients from fresh fruits and veggies in liquid form. Most juicers are easy to use, easy to clean and make getting the most from produce a snap. It’s almost impossible to have a healthy kitchen without one! Steaming is one of the healthiest ways of cooking. It locks in flavor and nutrients and doesn’t require using a lot of oil. This way you’re getting all of the good stuff and not adding anything your body doesn’t really need. There are many brands of steamers available, from small capacity for one or two person families, to larger models that allow you to cook an entire meal at once, which not only improves your health but also cuts down clean up considerably. Preparing and cooking healthy meals can be a challenge with our busy lifestyles. And that’s where Real Plans can help in saving you the hassle of deciding what to cook everyday. This is not your typical one size fits all meal plan. It is completely customizable to account for family size, allergies, diet, picky eaters and more. They currently have over 2000 recipes in their database plus you can add more recipes from your favorite food bloggers. 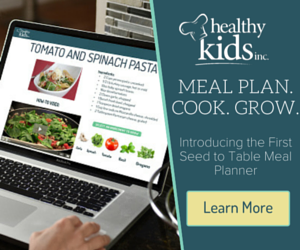 Meal planning with an innovative twist. Not only do you get the meal planning tool, you also get professional chef’s how-to cooking video with each dinner recipe, cooking and knife skills video tutorials for every skill level, including kids, plus how to grow your own food. I always read reviews on websites like Product Expert before I buy a new kitchen product, just to check it’s good quality. I can’t think of a better gift for anyone who is interested in cooking and eating healthier. As you can see, there are many potential healthy cooking gift ideas out there. These are just a few of the possibilities. If you’re looking to improve your own diet or are shopping for someone who is all about eating healthy, there is no reason why you can’t find helpful and affordable kitchen items. I know a lot of these items are great because when I got my kitchen refitted on a budget I based the design around inexpensive faucets, my friend told me this is a good focal point for the room and a fantastic place to create a room flow from. I have received a lot of these as gifts myself and they slotted right into the design of my kitchen. So don’t get discouraged, your health is too valuable for that. Just do your homework and you can find plenty of choices that will make healthy cooking fun and easy. If you make pasta, cook it al dente: Firmer pasta will not raise your blood sugar as high as soft-cooked pasta.